T/T, Western Union, Paypal, L/C, etc. POE-S0008GE is an unmanaged PoE Switch that comes with 8 ports 10/100/1000Mbps (Gigabit) PoE, any one of these 8 ports can be used as uplink. It is IEEE802.3af/at compliant, equipped with 120W external regulated power supply source or driven by external DC48-57V power supply. 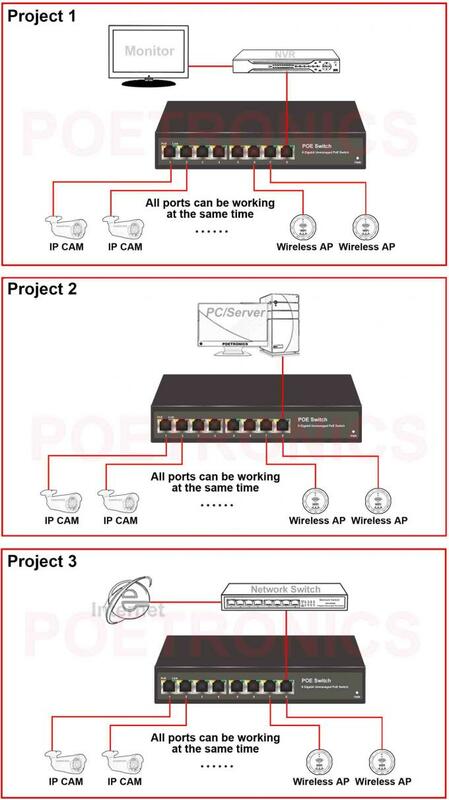 POE-S0008GE is widely working with 7 units of Powered Device (PD) such as security IP camera, VoIP phone, wireless AP/Routers or other compatible powered device, the 8th port is specially used as uplink and any of these ports power output is max. 30W.